Two "spotters" who assisted a fellow cheerleader in performing a gymnastic manoeuvre which ended in his death believed their role was merely to help him carry out a back handspring. However, the State Coroner yesterday said it was "too simplistic" to think that Mr Vincent Lam and Mr Eugene Eng were there only to support him as he tried to fall backwards onto a crash mat, land on his hands and push himself up to land back on his feet. Their duties should have included helping to mitigate his fall or performing rescue duties if the need arose, and it would be "not logical" to think otherwise, said Mr Imran Abdul Hamid. 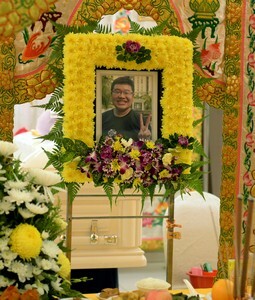 The coroner gave his verdict yesterday in the tragic case of 18-year-old Ngee Ann Polytechnic student Lai Qing Xiang, who died after last August's lesson. The two spotters - Mr Lam, 19, and Mr Eng, 20 - had told a coroner's inquiry last month that their role was not to break Qing Xiang's fall, but to help him perform the stunt. The coroner acknowledged that it would have been difficult to break their friend's fall even if they had tried. 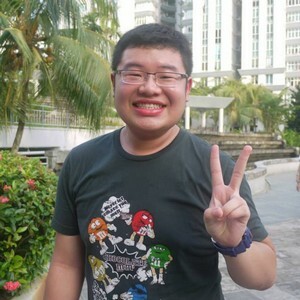 Qing Xiang, a chemical and biomolecular engineering student, was 1.77m tall and weighed 100kg. Mr Lam is 76kg, and Mr Eng 67kg. Qing Xiang landed awkwardly on his back and head. He suffered spinal injuries and fell into a coma, dying two weeks later on Sept 12. Neither spotter administered immediate first aid. 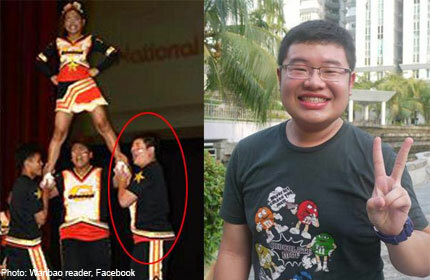 The victim's cheerleading coach, Mr Andrew Ong, has been suspended by Ngee Ann Polytechnic since the incident. He told a previous hearing that he did not make cheerleaders perform stunts they were not comfortable with. Others who trained under Mr Ong also told police that performing a particular gymnastic stunt was a personal choice, and that the coach had never forced them to execute any stunts. But the coroner said that whether a novice cheerleader is ready to progress to performing complex gymnastic stunts is "too important a decision" to be made by the cheerleader alone. Mr Imran said it should be made by the coach, in consultation with the athlete. He noted that cheerleading "has evolved dramatically" into a competitive, dangerous sport with complex stunts. He also recommended that training sessions be supervised by a teacher trained to manage basic injuries. Though a physician is usually present at cheerleading competitions, the same cannot be said of training sessions, which Mr Imran said are just as likely to involve injuries. 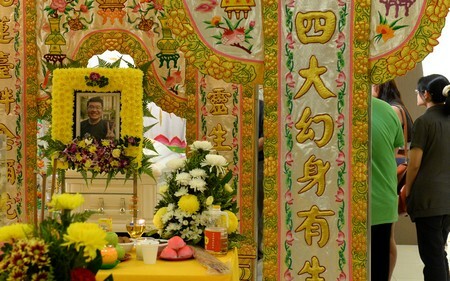 "The facts have sunk in," said Qing Xiang's father, businessman Patrick Lai, 58, who was at the hearing with his wife and an older son. "We have seen the (closed- circuit television footage), we know the cause of death, we know there was improper supervision. We cannot turn back the clock but we really don't want this to happen to another student." 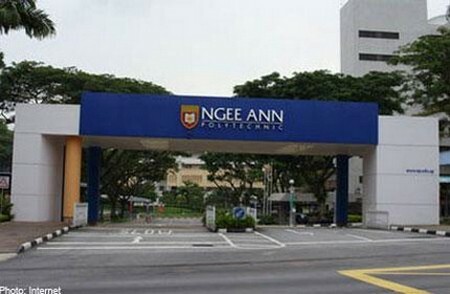 A Ngee Ann Polytechnic spokesman said yesterday that all cheerleading activities "will continue to be suspended" and that the institution will study the state coroner's findings.